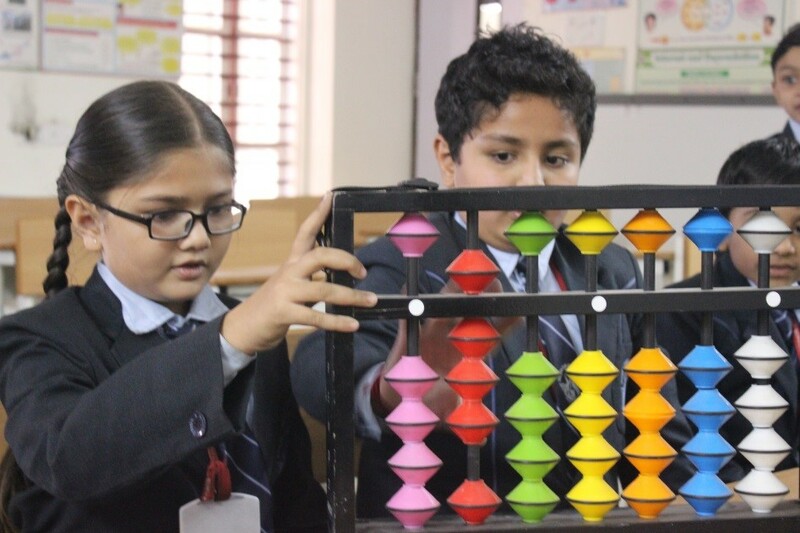 The lab enables the teacher to demonstrate, explain and reinforce abstract mathematical ideas by using concrete objects, models, charts, graphs, pictures, posters, etc. 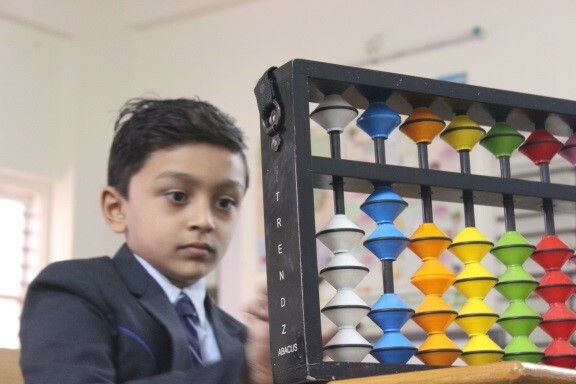 and also provide an opportunity to exhibit the relatedness of mathematical concepts with everyday life. It provides an opportunity to students to understand and internalize the basic mathematical concepts through concrete objects and situations. 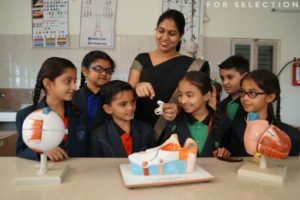 It enables the students to verify or discover several geometrical properties and facts using models or by paper cutting and folding techniques. 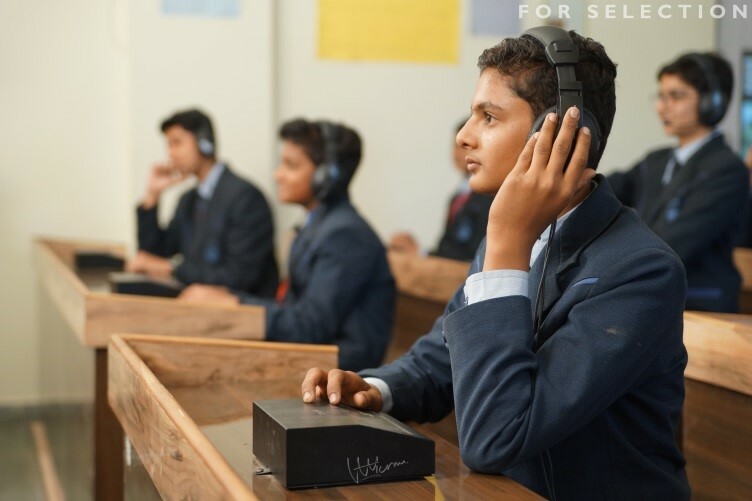 The school’s computer lab provides a well set state-of-the-art Wi-Fi multimedia with TFT monitors computing facility. The school integrates information and communication technology into the curriculum and provides the latest resource to its students.The computer lab is fully equipped with adequate number of terminals with latest configuration and internet connectivity for the use of all students. Our lab facilitates sharpening of analytical skills, stretching creative talents. 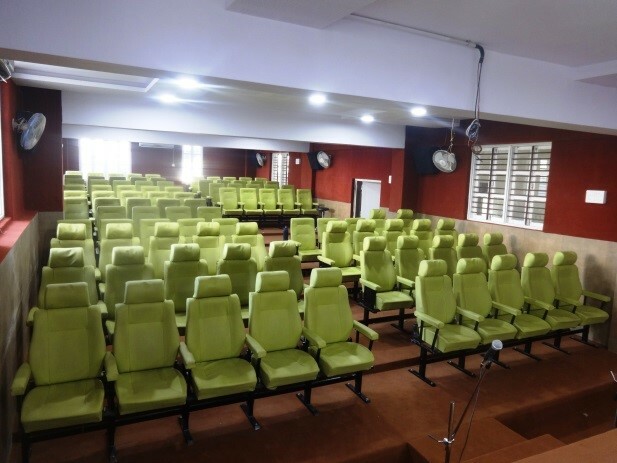 The hall equipped with advanced presentation tools is ideal for conferences and colloquium. 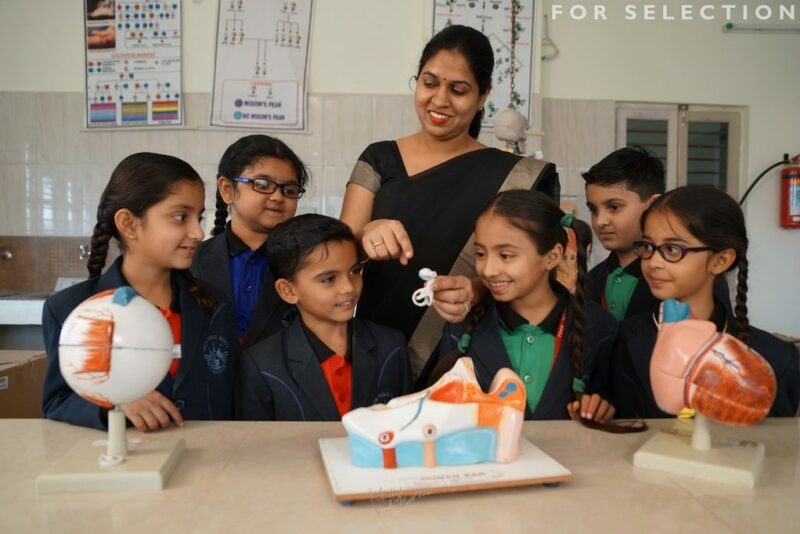 “Smart class” is a technology leveraged to improve the teaching – learning system, in an environment where the teacher is empowered to teach better and student is inspired to learn better than before. Smart class can boast about multimedia, mapped to CBSE curriculums, and explains the most difficult concept with easy clarity, bridging the learning gaps between the two stakeholders. It is equipped with exhaustive repository of well researched, digital modules of lessons (consisting of audio-video, 2D and 3D animations and graphics) on almost every subject from KG to class XII. The mode of storage of the repository is the central server hub located a convenient place in the school. 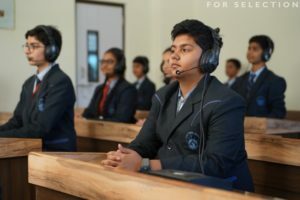 The classrooms equipped with a state of art interactive Educomp smart class Digital Teaching System (DTS) are connected to the central server. 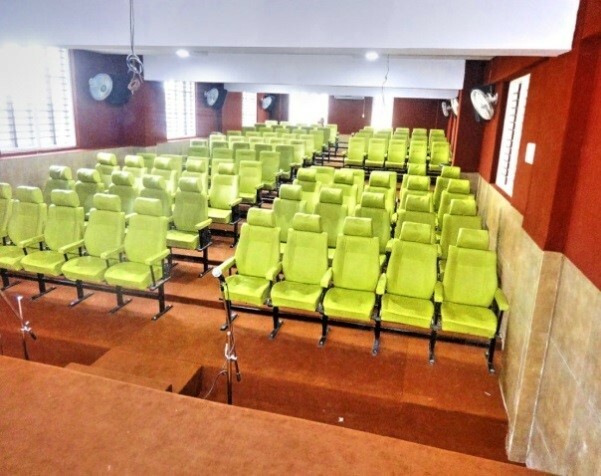 This hall can accommodate nearly 1000 members standing and 600 sitting. 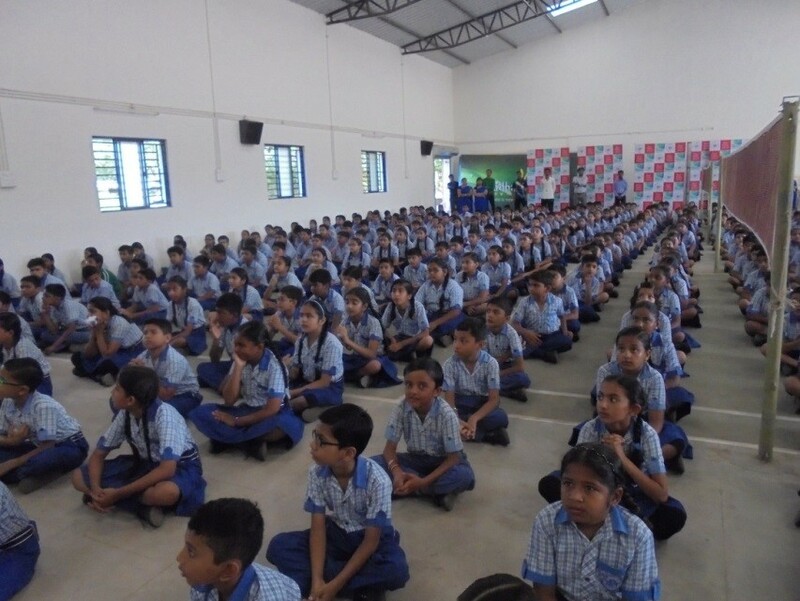 Hall is used for conducting various inter and intra school activities so that all the students can witness it. Hall is well lit and aerated with acoustics and high-grade sound system. 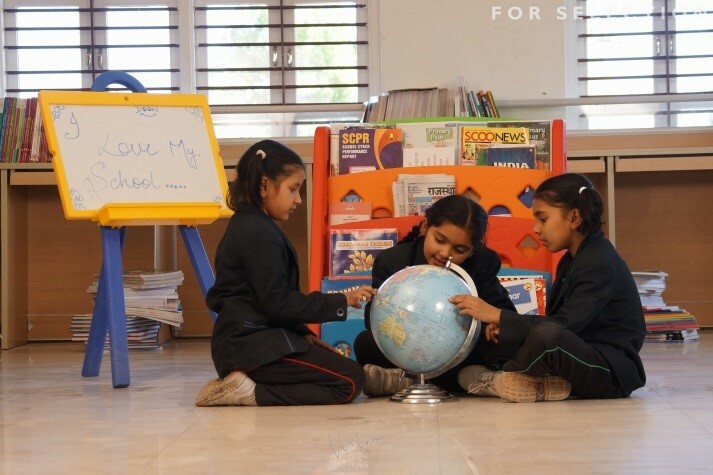 The purpose of a language lab is to involve students to actively participate in language learning exercises and get more practice than otherwise possible in a traditional classroom environment. With a language lab, all students in the class can speak simultaneously without distracting each other regardless of the class size. 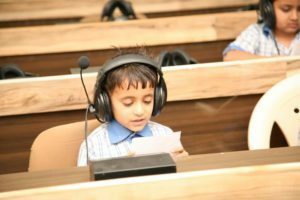 Without a language lab, in a class of more than 10 students, each student gets less than one minute of speaking practice. Teacher and student positions are connected via LAN (local area network). 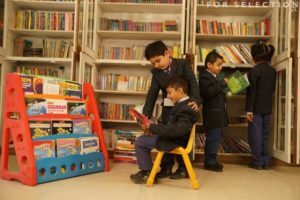 The Doon Public school digital library holds more than 15,000 books online. The students will be provided with the intranet connection of the digital library where in the students can access it from their home or any other place. This will help the students to outdo their projects and also be an excellent source for reference work. 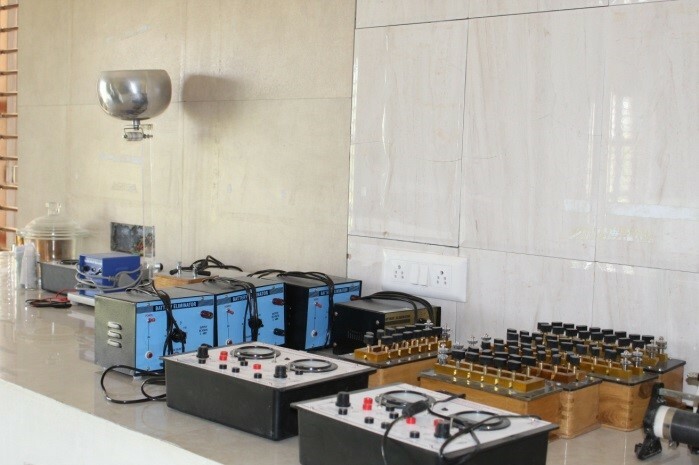 The Electronics Lab enables students to understand the basic concepts governing the functioning of day-to-day articles like alarm clocks, radios etc. as well as to modify and also create low-cost electronic gadgets using capacitors, resistors and transmitters. Students also learn to make simple circuits using basic components. 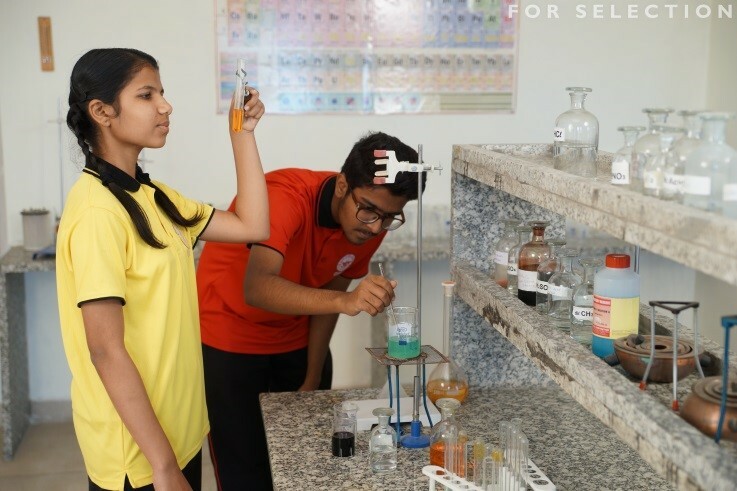 Doon Public School is proud to have a sophisticated Physics Laboratory with the latest state-of-the art facilities that equip the students to have a hands-on experience. The Flat-topped tables used as student workstations allow multiple arrangements and combinations for laboratory work and small-group activities. 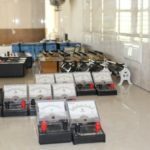 The equipment ranges from the commonly found lens, magnet, beam balance, spring balance, glass prism to the advanced apparatus like voltmeter, ammeter and resistors and spectrometers to name a few. 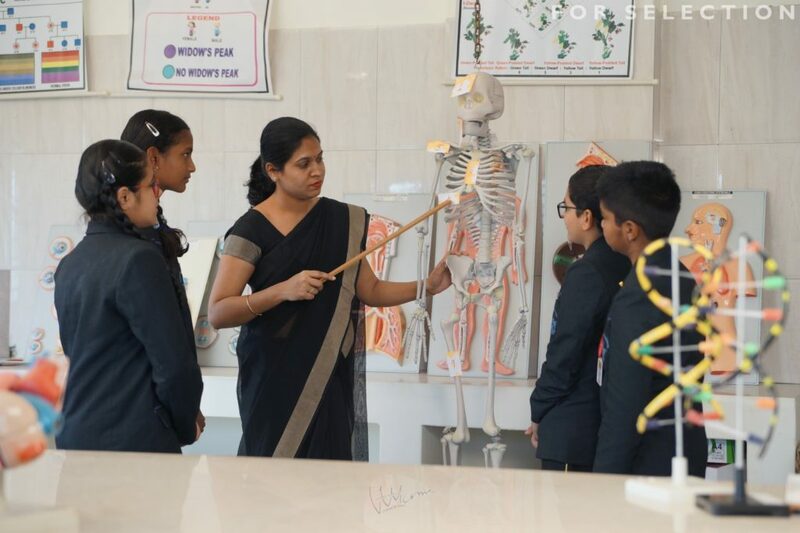 The laboratory is also equipped with an Interactive board and an LCD projector that allows the teachers to incorporate the latest technology in their lessons to arouse the interest and curiosity of the students. Furthermore, the spacious physics lab is designed in a way to accommodate students comfortably. 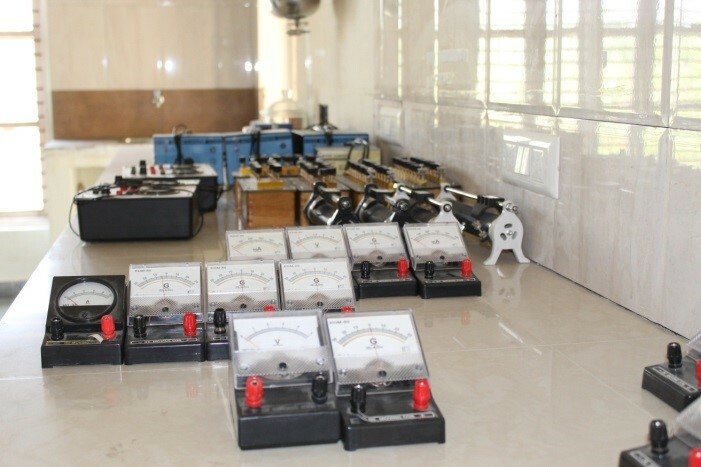 The Laboratory reinforces the knowledge acquired in the theory class by emphasizing on the fundamental concepts of physics. It aids the students understanding of using lab equipment’s. Moreover, it makes them realize the importance of direct observation as compared to inference based on theory. 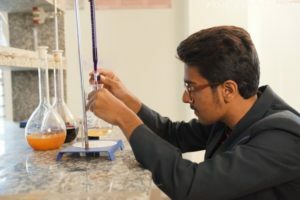 It helps the students develop a broad array of basic skills, especially experimental and analytical skills, and a general understanding of the tools of experimental physics and data analysis. The Physics lab and biology labs are so big that they take up one entire corridor. 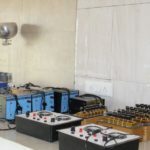 The Lab is provided with the state- of- the art devices like- Fume hood, Distillation unit, Electronic weighing machine, Concealed gas line and the safety devices such as Firefighting equipment, First- Aid Kit etc. The acids and other reactive chemicals are stored in separate cupboards as a further precautionary measure. 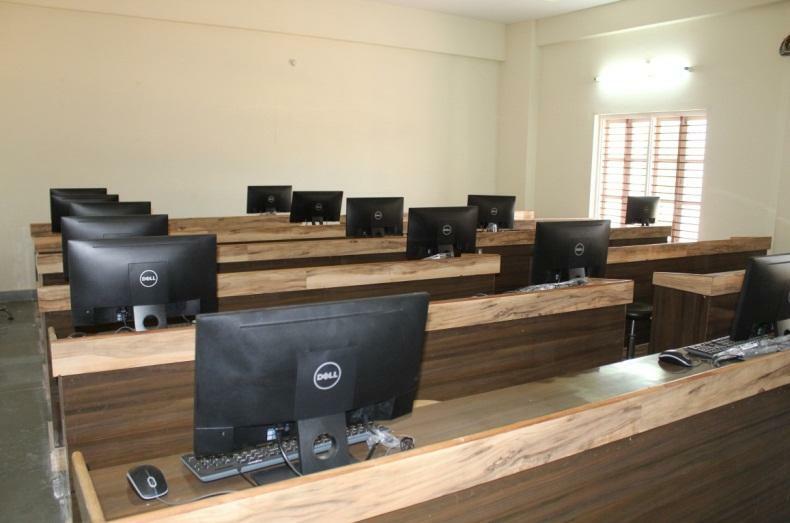 The students are provided with separate workstations with individual burners and plug points. The apparatus includes the commonplace strikers, mortar and pestle, clay triangles, watch glasses, crucibles, crucible tongs, chemical spoon, stirring rods, filter, funnels burettes, pipettes and a variety of stoppers. 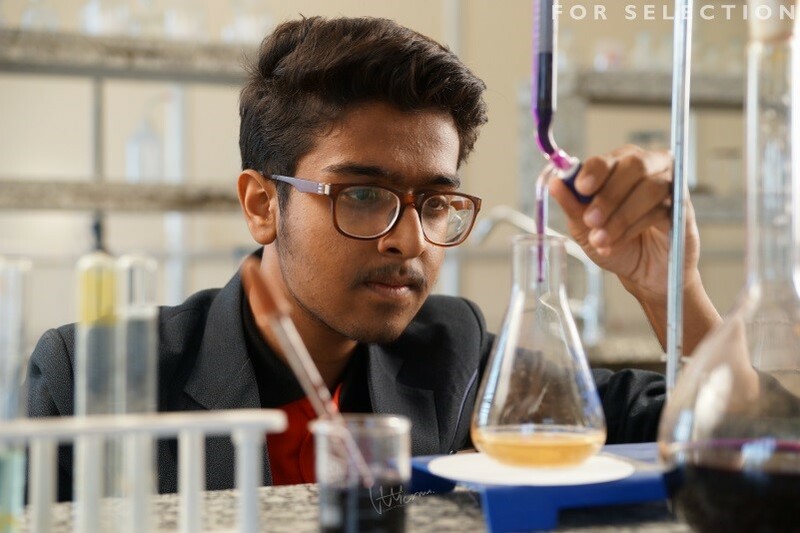 School purchase consumable chemicals and apparatus for lab every year to maintain the standard and adequate supply of resources. The exhaust system efficiently sustains a comfortable environment in the room even while performing experiments requiring chemicals that let out fumes. 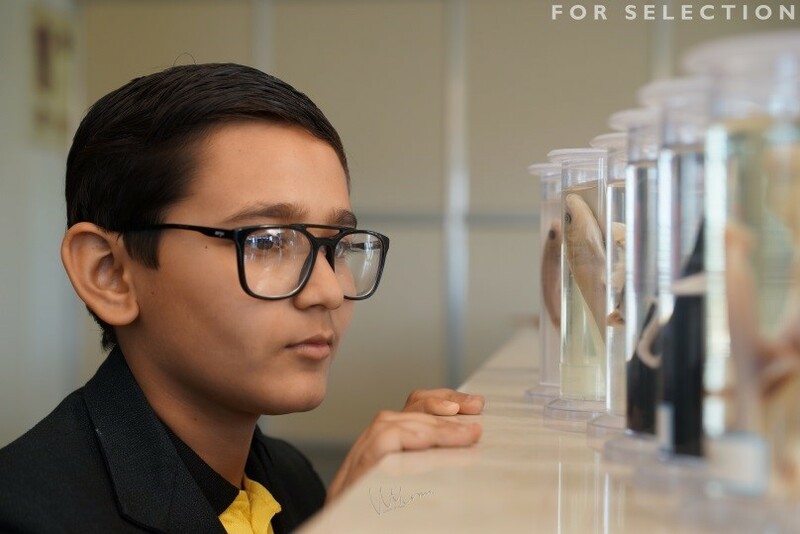 Laboratory, field activities and inquiry provide students with opportunities to question, observe, sample, experience, and experiment with scientific phenomena in their quest for knowledge of living things. 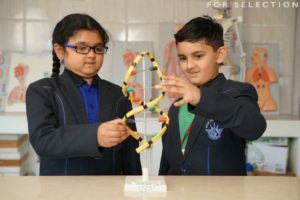 Doon Public School vaunts an intricately designed Biology Laboratory planned to meet the demands of the advancement in science and technology. The flat worktops are heat resistant and storage cabinets are easily accessible. The laboratory apparatus ranges from simple slides, test-tube, petridishes, Bunsen burners, beakers and flasks to the composite microscopes of varying powers to observe samples and organisms closely. They are high-powered, extremely expensive, and sensitive pieces of equipment that can make even the smallest parts of a single cell seem clear. 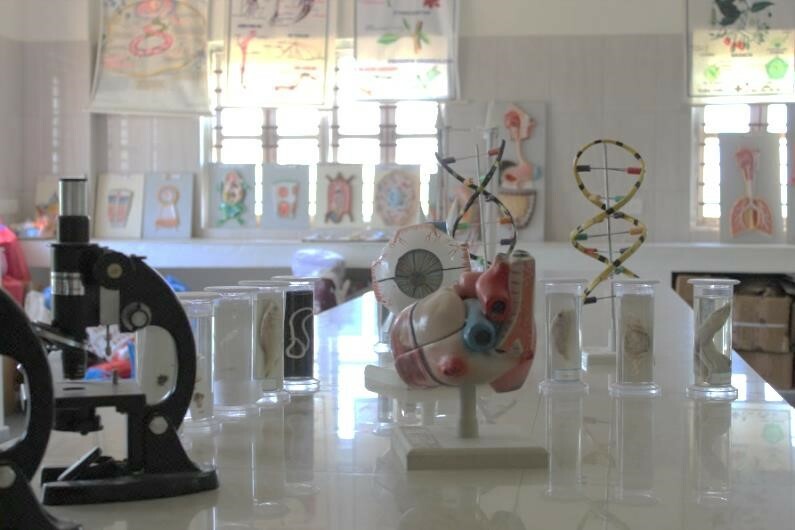 Besides the aforesaid the laboratory also has charts, models and specimens meant for demonstrations. 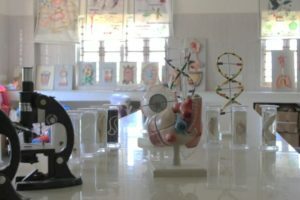 The interactive board connected to a computer system and projector makes the biology lessons more effective and interesting. The exhaust system efficiently sustains a comfortable environment in the room even while performing experiments requiring chemicals that let out fumes. The laboratory is expansive and does not restrict any kind of movements’ requisite while working in groups or during demonstrations. 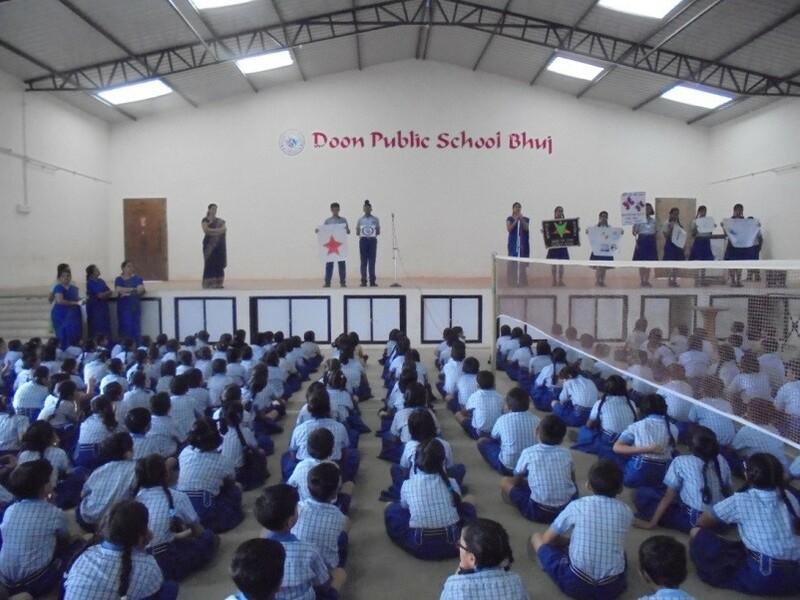 Doon Public School has a very spacious well equipped and ventilated science laboratory with three wings for Physics, Chemistry and Biology. 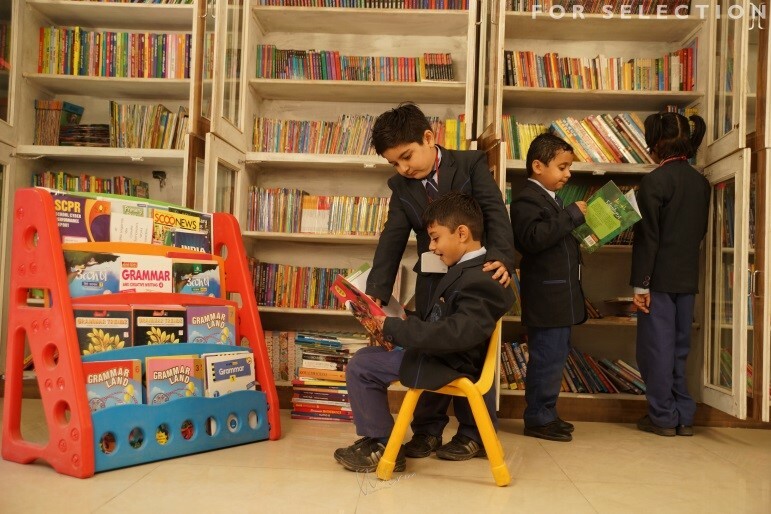 The facilities as well as equipment are quite adequate enough for each student to perform the activity individually. 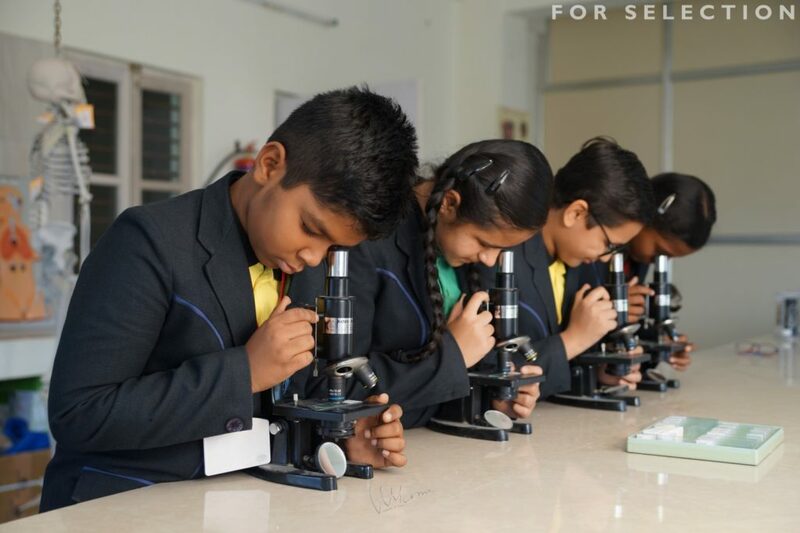 This lab is separate from high secondary labs and exclusively used for primary and secondary classes. The future plan involves strengthening of activity oriented methods by adding latest equipment/facilities. 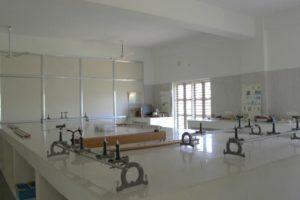 The science lab is also provided with Computers, which are mostly used for browsing on various science experiments. 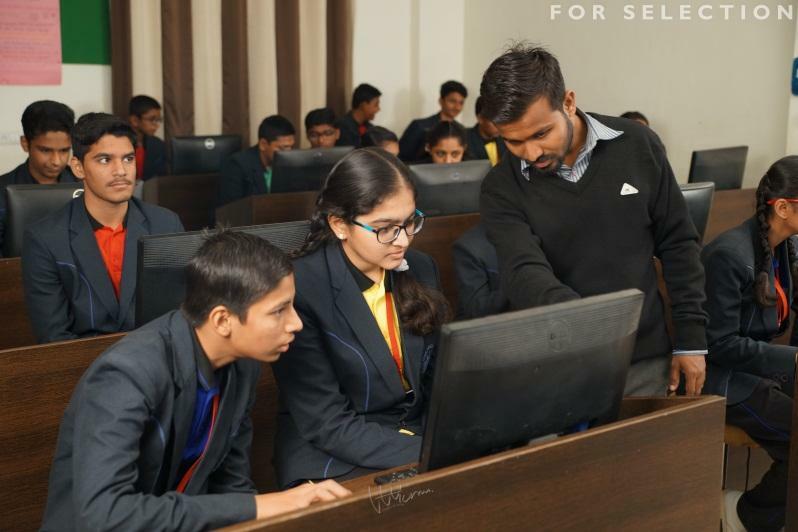 We offer Computer aided teaching and learning through smart class using plasma screens with Smart Assessment System (SAS) in all the classes (Nursery to X). 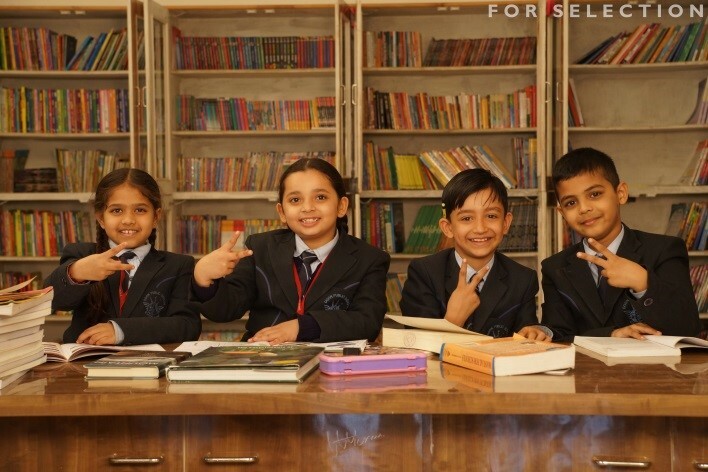 SAS is a unique tool which instantly allows the teacher to assess and evaluate the learning achieved by the students. The system is designed for the students to answer multiple choice questions in the classroom. Students answer the test with a hand held remote by pressing the appropriate button. 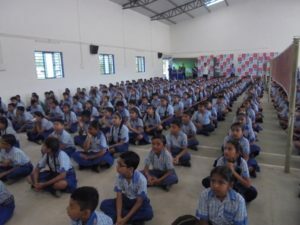 The data pertaining to each student is stored and the application allows the teacher to generate a wide range of reports with respect to the whole class and for each individual student as well. The SAS will benefit students in the long run by increasing their speed and mental alertness during exams. Through the internet teachers connect to information resources far beyond the physical benefits of the classroom and bring the virtual world within the walls of the classroom thus exponentially increasing the knowledge base for practical teaching and learning. At Doon every student is first acquainted, educated and trained in all the basic and advanced nuances of 2D animation through easy to use techniques, advanced software and simplified methodology. Later the divergent faculty assists students to incorporate school subjects with animation. 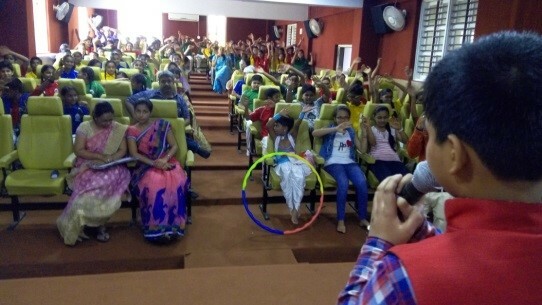 By this the students get completely involved in the subjects and are able to express the best of their creativity.